Happy Hump Day to you. I want to do a little something different today. I have seen so many new faces and names pop up in my comments section. This makes me so very happy and I love seeing each and every one of you. But here is the thing. A lot of these new faces I don't know who you are. I don't know if you are a blogger, finding me through pinterest, or coming over from a blog I sponsor. No matter the reason you are here, I want to get to know you. So today I welcome a reader meet and greet. Come share anything you want to share because I want to get to know each of you. Are you married? Do you have kids? Or fur-children? Do you like to cook or bake? Are you into fitness? Tell me you dirty little secrets!! I will respond to you via email or hunt you down some way. 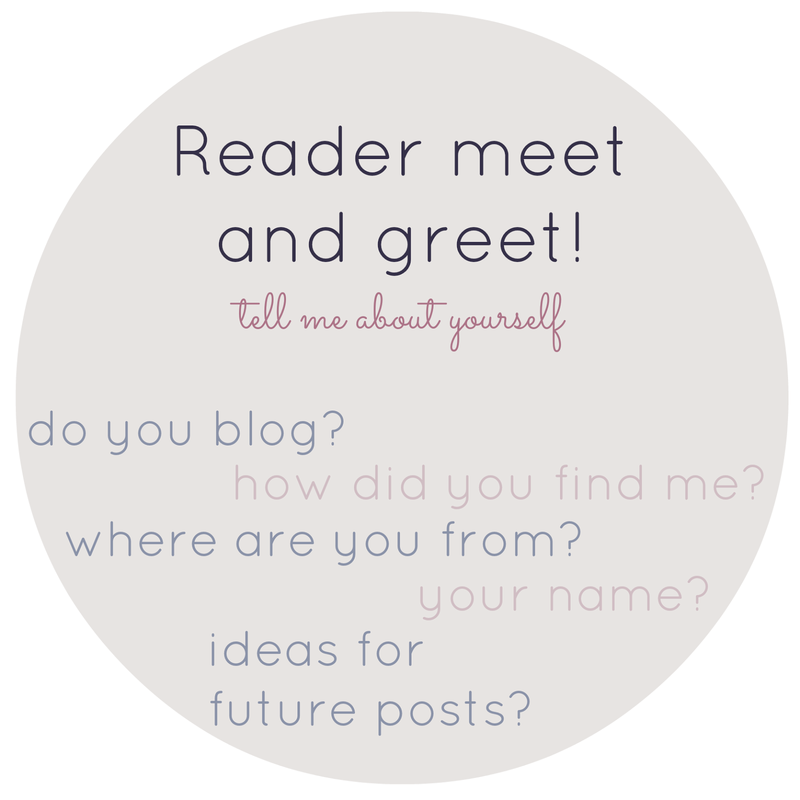 Please feel free to share your blog link so I can go stalk you because I am creepy like that. Also, make sure to tune in tomorrow to see a very, very, very special guest on my Chit Chat Thursday vlog. Hi I'm Erin! I am not married. I don't have kids. I am not a fur-mom. I don't like to cook or bake. And I am not into fitness. Why do you like me again? Hello I'm Carlisa! I am not married but have an amazing bf and we do not have kids YET! I Don't have pets cause i hate dog hair. I love trying new things, always open to new adventures. Love traveling anddddddddddddd not sure what esle to say! I am awesome i guess!